This is the start of many ‘eczema’ deadweight front-load for Kate! Who shares this experience? 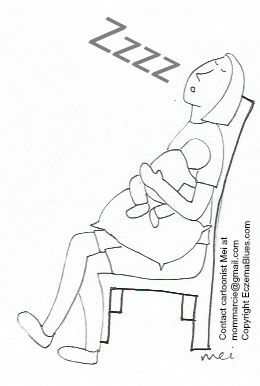 Fearing that our eczema babies will scratch, we ended up carrying them to sleep, nap, cook, work and what else? Share in the comments and it’d be put into a cartoon for other moms to lol 🙂 We all need some light-hearted moments… I know I do! For more Mom NeedyZz cartoon, see here.